The estimated 700-plus dispensaries in Los Angeles will likely learn their fate sometime tonight after voters weigh in on several MMJ proposals during citywide elections. Make no mistake: This is a crucial election not only for the LA cannabis community, but also for the medical marijuana industry as a whole. Los Angeles ranks as the largest single market for MMJ in the country, boasting more dispensaries and related medical cannabis businesses than the rest of California combined – and any other state for that matter. At stake are thousands of jobs and millions of dollars in revenues. The ballot measures aim to create a viable, stable and regulated business climate in LA, which would be an important development for a turbulent market and could help offset some of the negative stereotypes about the industry (many of which are tied to shady dispensary operations in Los Angeles). #1. Proposition D would force most of the city’s dispensaries to close, allowing only 135 that were open before LA enacted a moratorium in 2007 to remain in business. The measure also calls for additional oversight on dispensaries – including restrictions on hours of operation and a requirement that key personnel submit to background checks. Additionally, it would increase city taxes on MMJ centers to $60 for every $1,000 in sales, up from $50 currenly. Some of the city’s top officials have come out in support of this measure, seeing it as a way to allow the industry to exist while reining in the unchecked growth of the past few years. They also believe it will help rid Los Angeles of sketchy, fly-by-night operations that some consider a blight on neighborhoods. The measure, crafted by the Los Angeles City Council, has gained the support of older dispensaries as well as a fair share of advocates and the main union representing MMJ workers. Dispensaries that are allowed to remain open will benefit immensely from this proposition because they’ll be able to capture a much bigger share of the market with the decrease in competition. A major downside of this proposal, however, is that hundreds of responsible, upstanding dispensaries – not just the questionable players – would be forced to close and overall access to medical marijuana would shrink significantly. #2. Initiative Ordinance F would implement new regulations on the industry – including background checks for dispensary owners and employees, mandatory cannabis testing and a requirement that would force centers to file an audit annually with the city. While the regulations are actually stronger than the ones in Proposition D, this ordinance does not set a cap on the number of operations. Existing dispensaries would be allowed to stay open provided they can meet all the requirements and register with the city. Taxes on marijuana transactions at dispensaries would rise, and centers would have to ensure they are at least 1,000 feet from a school. Ordinance F would have a smaller immediate impact than Proposition D, as all existing dispensaries would at least be given a chance to stay in business. Still, while some dispensaries would eventually be forced to close because they can’t meet all of the requirements, it might not be enough to completely address the concerns of lawmakers and community members that there are simply too many centers. So there could be ongoing pressure on the industry. 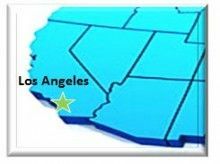 Additionally, Los Angeles would remain a fairly sizable target for the federal government, which has been cracking down on medical marijuana businesses. Supporters behind a third proposal on the ballot – Initiative Ordinance E – have essentially abandoned the measure a shifted their support to Proposition D, which is similar. While each measure has supporters and opponents within the medical cannabis industry, some MMJ organizations are pushing for all of the ordinances. The California chapter of the National Organization for the Reform of Marijuana Laws (NORML) recommends voting yes on each of the three proposals to avoid a “tragedy” that would arise if all of them fail. The good news is that none of the measures call for a complete ban on medical marijuana dispensaries, something the Los Angeles City Council actually pushed through last year before rescinding it when faced with the possibility of a costly and time-consuming referendum. However, a tricky situation could arise if more than one of the proposals gets more than the required 50 percent of the votes. In that case, the measure with the most overall votes wins, which is sure to create a great deal of controversy. On the other hand, it’s certainly possible that voters will strike down all three proposals, in which case city council would ultimately go back to the drawing board and try to come up with a workable solution. Los Angeles has long struggled to effectively regulate the medical marijuana industry. After a proliferation of dispensaries popped up in a lax regulatory climate – soaring above 1,000 at one point – the city passed a measure in 2010 that was supposed to cut down the number of dispensaries to less than 100. But huge opposition from the industry as well as a court-ordered injunction, contradictory legal rulings and a lack of enforcement allowed the industry to continue operating virtually unchecked. Then came last year’s ban, which quickly dissolved when MMJ supporters gathered enough signatures to put their pro-dispensary measure on the ballot. The chaos in Los Angeles is common in California’s medical marijuana industry, which has been at the center of the federal government’s MMJ crackdown in recent years. Chalk it up to the lack of statewide regulations on the industry, which have created a turbulent business climate with little or no rules. On Monday, the California Senate passed a bill that could help stabilize the environment by introducing some basic statewide regulations on the industry and shielding compliant dispensaries from state prosecution, though cities could still set their own policies and rules.